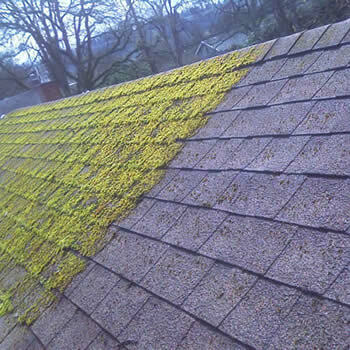 Are you looking for a method of roof cleaning and moss removal Gloucestershire that does not risk damaging the tiles? 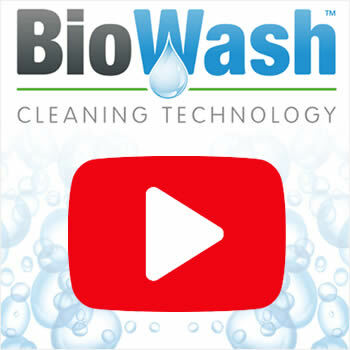 Biowash is a professional service available across the county that incorporates high-performance tile cleaning and algae inhibiting products. The ever-changing weather conditions are the perfect breeding grounds for the growth of organic matter on residential and commercial properties across Gloucestershire. The prevailing damp conditions mean the spread of moss and algae on a wide variety of hard surfaces is inevitable. Old tiles become more porous and over time, with the freeze-thaw cycle of expansion and contraction, this can lead to tiles cracking, making repairs inevitable. 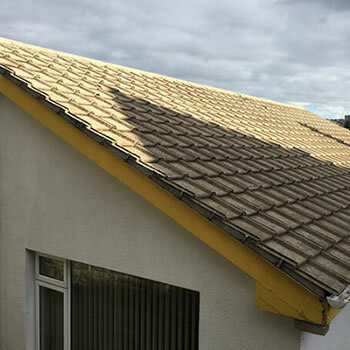 The growth of moss and algae on your roof not only looks unsightly but excessive growth can lead to other problems as well such as gutters and downpipes can become partially or fully blocked. 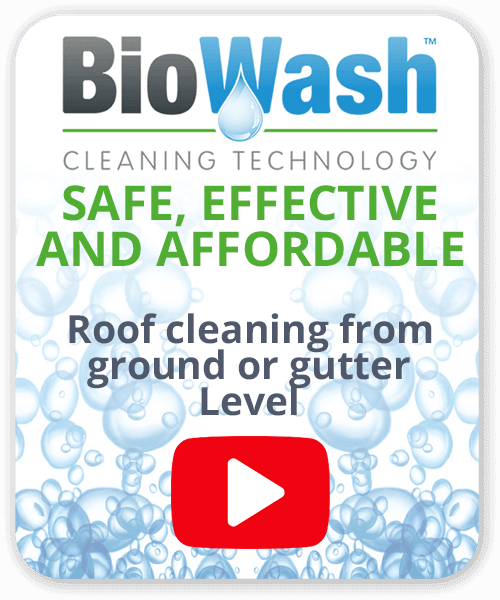 Our Biowash™ non-pressure cleaning system is carried out using specialist equipment and will effectively kill the algae and remove years of grime. 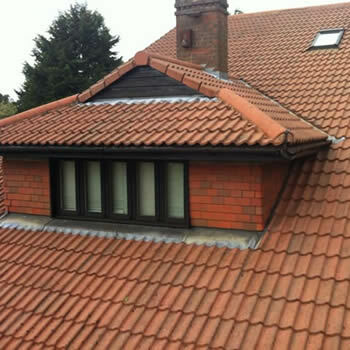 This non-pressure process can be carried out from ground or gutter level removing the possibility of tiles being broken. The process enables tiles to be fully deep cleaned in the minimum time possible with little disturbance to you or your neighbours. We also apply a protective treatment to ensure any re-growth of is kept to a minimum. Your local Biowash agent offers a professional cleaning service on all types of residential, commercial and industrial properties. 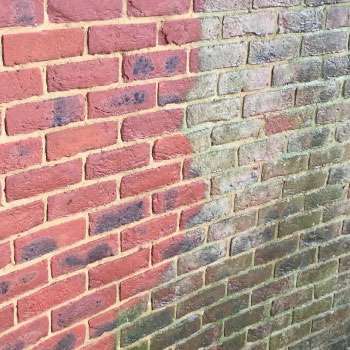 Another service that may interest you is our wall and render cleaning. For a FREE quote please phone or complete the online contact form. For those new to the area, the magnificent county of Gloucestershire lies on the northern edge of the South-West of England. In a recent census the county had a total population in the region of 565,000. It encompasses the Cotswolds, the Royal Forest of Dean and the Severn Vale and is famous for the many beautiful Cotswold towns and villages. A must to visit is the 840 year old Berkley Castle and the 500-year-old Tewkesbury Abbey which has the tallest Norman tower in England. In Spring go and see the famous Daffodil Way in the Leadon Valley one of the few places in Britain where you can see flowers growing in the wild in profusion.